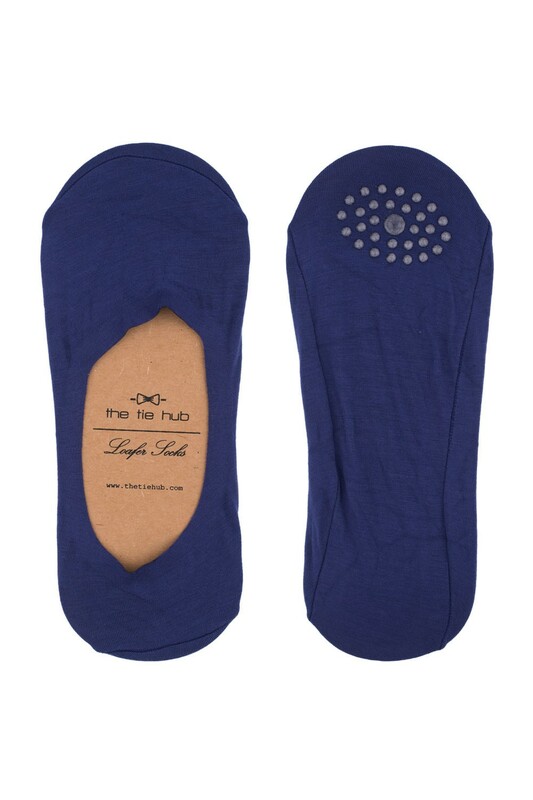 Cotton / Bamboo Fiber Invisible Socks for Loafers in Ink Blue. Washing Instruction: Tumble dry medium heat. Do not iron. SmartWool socks are machine washable. Turn them inside out and wash them with cool or warm water. All over Silicon grip to reinforces this socks for a very good grip . Made of woven cotton and accented with comfortable elastic, this sock is great for all round wear .They are especially designed for loafers and are a useful addition to your wardrobe . Cotton and Bamboo Fiber Fabric resists foot odour by absorbing sweat. Please note : Second image is for product reference.